Nrityangan was founded in 1969 by Shanti Bose and Sunanada Bose with the blessings of Uday Shankar. The institution is primarily involved in teaching and continuing the tradition of Uday Shankar’s style of Indian Creative Dance. Nriyangan’s uniqueness lies in its choreography and compositions of Rabindranath tagore’s dance dramas and songs in the Uday Shankar style of Indian Creative Dance. Nrityangan has been continuously performing in Kolkata and all around India. 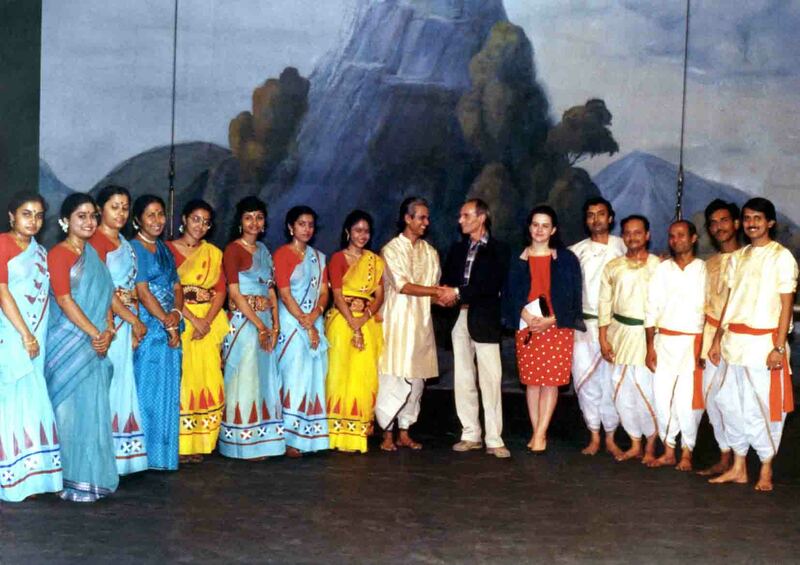 In 1987 the troupe visited Singapore to perform Chitrangada and Mahajiban (based on the life of Lord Buddha). 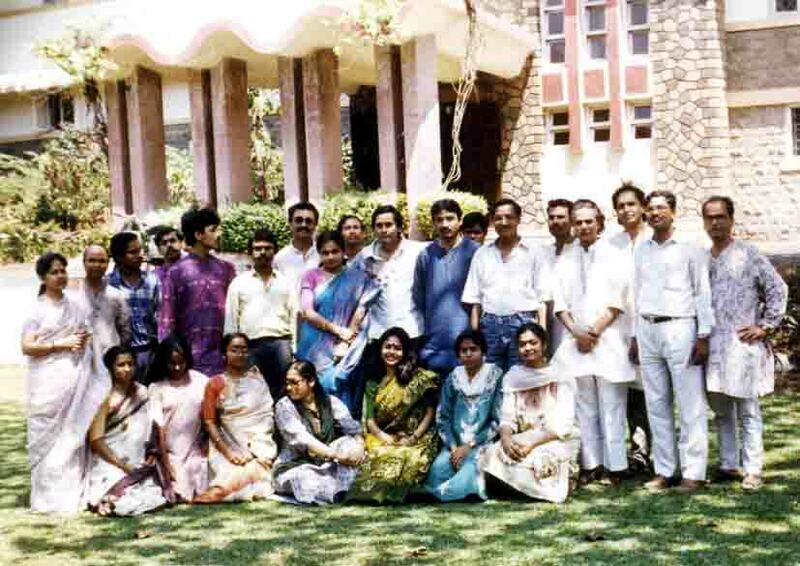 Each year Nrityangan conducts an annual programme in December to commemorate the birthday of Uday Shankar. They have been invited each year to perform at Rabindra Jayanti organized by Rabindra Sadan and various other programmes and festivals including Banga Sanskriti Sammelan, Uday Shankar Satabdi Samaroh, several festivals organized by the Eastern Zonal Cultural Centre and innumerable performances for private organizations. Nrityangan has also performed a number of Tagore's dance dramas for Indian television Doordarshan. These include Chandalika, Tasher Desh, Samanya Kshati, Mahajiban and Parishod. HMV SaReGaMa has released video compact discs of Chandalika and Shyama, set to the original recordings directed by Santosh Sengupta with voice recordings of Suchitra Mitra, Kanika Bandyopadhyay and Hemanta Mukherjee. Bhavna Records is going to release a series of four of Tagore's dance dramas in May 2006, all of which have been performed by Nrityangan. The members of the troupe have been trained in various forms of Indian Classical dance, with Kathakali and Manipuri being the primary focus. This aides them to perform the Uday Shankar style of Creative Dance with ease and fluency. Most of the dancers hold a degree in dance from Rabindra Bharati University and are fully committed to a career in this particular art form. The various productions of Nrityangan include Samanya Kshati, Tasher Desh, Chandalika, Mahajiban (based on the life of Lord Buddha),Chitrangada, Shyama, Sapmochan and Barsha Mangal. With Shanti Bose and Sunanda Bose at its helm, Nrityangan has been fortunate to have artistes like Arghya Sen, Suchitra Mitra, Dwijen Mukherjee, Ritu Guha, Abhirup Guhathakurta, Indira Bandopadhya, Pramita Mallik and Debarati Shome perform in its productions. 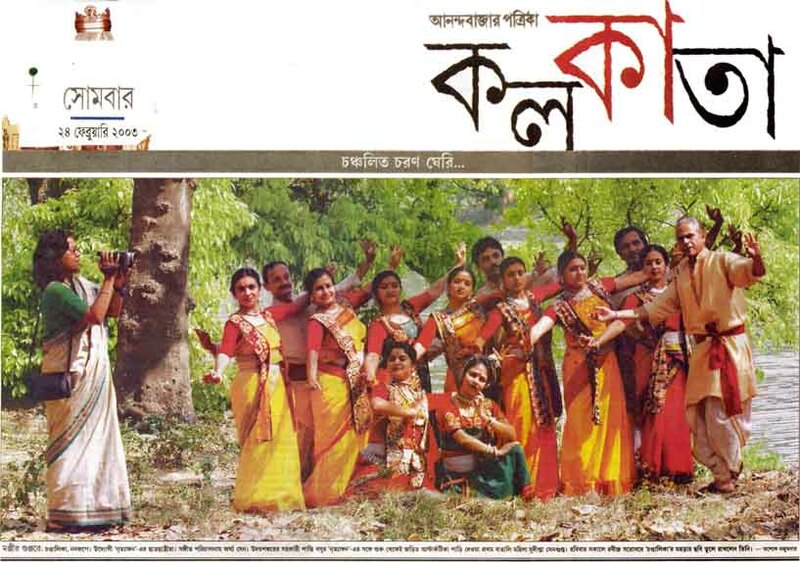 Dancers of Nrityangan: Swapan Mitra, Dipankar Biswas, Utpal Mukherjee, Sandeepan Bhowmik, Chanchal Halder, Dipankar Bose, Sabyasachi Dasgupta, Tapan Chakraborty, Arindam Polle, Sulakshana Sen, Sumita Banerjee, Mitali Biswas, Ayona Basu, Moumita Nandi, Susmita Mandal, Shubhra Banerjee, Chandrima Mitra, Ishita Mukherjee, Koyel Choudhury, Pratibha Das, Swati Pal, Chandana Dey, Deepa Das, Debashmita Biswas and Mithu Pal. 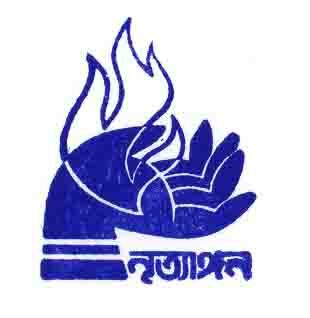 Singers associated with Nriyangan include Arghya Sen, Abhirup Guhathakurta, Ritu Guha, Debarati Shome, Krishna Guhathakurta, Purba Dam, Bibha Sengupta, Indira Bandyopadhyay. The music director for Nrityangan is Bishnudas Sadhukhan and the musicians include Ranjan Majumder (sitar), Ranajit Sengupta (sarod), Pallab De (tabla), Shankar Mukherjee (tabla) and Abhijit Banerjee (percussion). The costumes are designed by Sunanda Bose and managed by Deepak Das. The light effects are coordinated by Sushil Das.